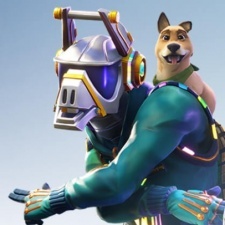 Epic Games’ multi-billion dollar battle royale sensation Fortnite took Game of the Year at the second-ever Pocket Gamer Mobile Games Awards in association with Game Insight. The hit game proved hugely popular amongst our panel of 100-plus industry judges. The title has pushed the boundaries of what’s possible on mobile, paving the way for new types of experiences. It fought off stiff competition from Badland Brawl (Frogmind), PUBG Mobile (Tencent’s Lightspeed & Quantum Studios), Marvel Strike Force (FoxNext Games), Holedown (Grapefrukt Games), Helix Jump (H8 Games), New Star Manager (New Star Games), Jurassic World Alive (Ludia), The Walking Dead: Our World (Next Games) and Legend of Solgard (Snowprint Studios). The Pocket Gamer Mobile Games Awards was sponsored by Game Insight, Lockwood Publishing, AppOnboard, Lab Cave and Playdemic. Special thanks to Susannah Owen who livened up the evening with some Fortnite cosplay, designing the costume especially for the event. You can find a full list of the Pocket Gamer Mobile Games awards winners here.